Turkey’s leading tugboat operator and shipbuilder Med Marine has delivered an 18m tugboat to Gemport for its operations at Gemlik Port. Gemport belongs to Yıldırım Group of Companies’ subsidiary Yılport Holding, which operates 21 terminals in 9 countries besides having a global presence in 9 different sectors in 51 countries. The high quality vessel is a conventional type tugboat. Two CAT 3508B DITA engines develop a total output of 1.640kw with a free sailing speed of 12.0 knots and bollard pull of 30 tons. Remaining 9 other identical sisters are being operated in Med Marine’s fleet at the moment. 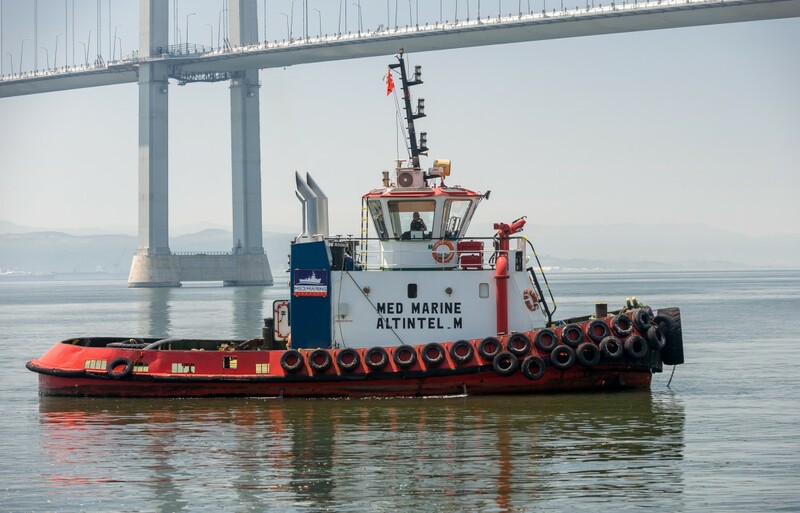 Med Marine has a very busy new building programme for 2019 consisting of various types of Robert Allan design ASD/TS tugboats, Camarc design pilot boats and mooring boat projects.